I have been remiss in posting and in thanks, so here is a long overdue blog to Joy Schultz who was inspired to go out an make some macarons and then send them to me for some feedback. She, however, did not commit the fateful wax paper mistake that effectively destroyed my macarons, and so hers were perfect. I think they are by far the best ones I have had since leaving France. She followed this recipe, used my chocolate ganache recipe for some, and then improvised a delicious orange butter-cream filling for some others. These pictures don’t give justice to how beautiful they were, and the raspberry ones aren’t even shown because I devoured them before I could even think to snap a picture. Thanks Joy! 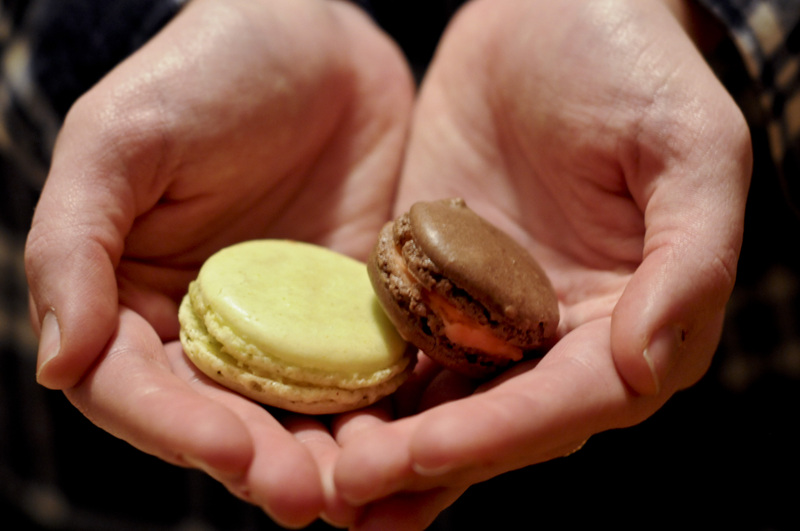 This entry was posted in Uncategorized and tagged Cooking, food, macarons. Bookmark the permalink. i… kind of need to make these soon.